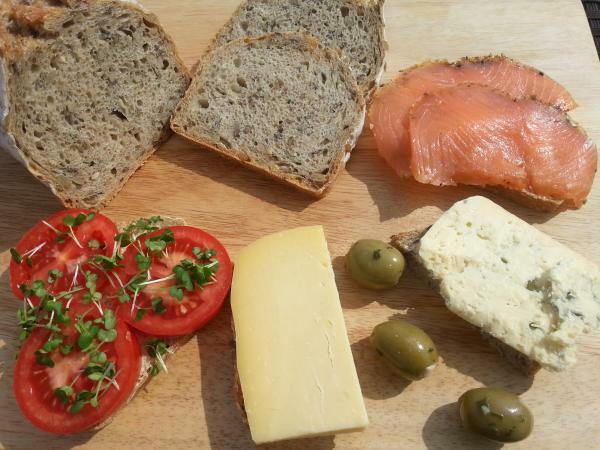 May I introduce you to our SEEDED WHOLEGRAIN? 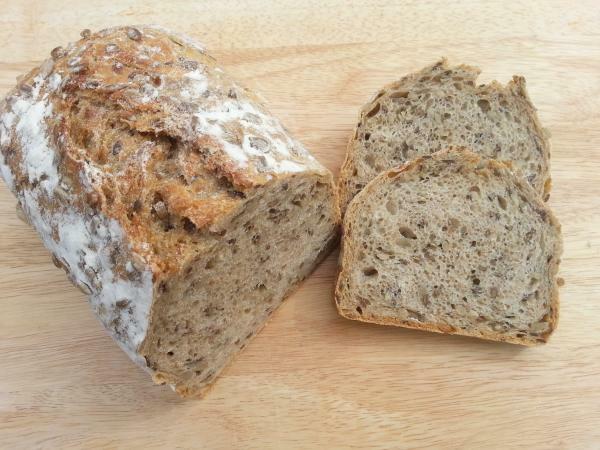 My first thought was "soup” but when I went into our kitchen my eyes caught sight of a loaf of our SEEDED WHOLEGRAIN. Mmh, what am I having it with? It’s already tasty bread and would satisfy me just with a little bit spread on it. But my brain now started creating ideas. Our fridge made the final decision as not everything was available…. One of our basic bread which has been developed by myself. A blend of wholegrain and plain white wheat flour is creating the basic dough which get’s an upgrade as we add plenty of sunflower seeds and linseeds. It’s Sunday the 18th of March and I should be at the Totnes Good Food Sunday whilst I’m sitting in front of my computer writing my blog. Not sure how I feel about it as I’m enjoying a day off whilst the snow is falling outside creating a wonderful looking landscape. I’ve been already out earlier walking my dog and left the first footprints in the snow. What a magical moment! A moment I forget about the impact it’s having on our business! And not just ours…! I recon all small and even large businesses are suffering from the unusual circumstances (unless you are selling icing salt or any equipment to do with snow).